Savannahs, swamps, bushland and rainforests: Uganda boasts one of the most diverse landscapes on Earth. On the country’s western border, the magnificent snow-capped peaks of the Rwenzori Mountains protrude into the sky. To top it off, Uganda is home to nearly half of Lake Victoria – the second largest freshwater lake in the world – as well as to the upper reaches of the Nile, flowing northwest from there. Mountain Gorillas are Uganda’s most prominent inhabitants. Bwindi Impenetrable Forest is home to about half of all surviving mountain gorillas, some four hundred hundred animals. Up until very recently, virtually nothing was known about the behavior of the gorilla groups in Uganda. 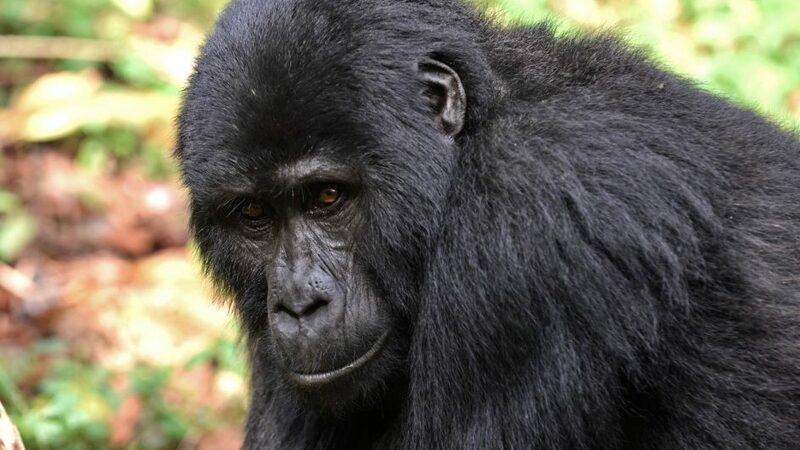 Scientists from the Max Planck Institute in Leipzig conducting long-term studies in Uganda since 1998 have discovered that the Bwindi gorillas differ from mountain gorillas living in Virunga Mountains in Rwanda and the Congo. We follow the Kyagurilo group, a family of twelve gorillas through the dense, steep jungle and watch the female Tykwe nursing her three-month-old baby, Nyakabaran encountering unique behavior. While the other mountain gorillas mainly forage on the ground, the Bwindi gorillas tend to climb high up into the canopy to eat seasonal fruits. Archetypical Africa can be found in Murchison Falls National Park on the banks of the Nile. Below majestic waterfalls one may encounter some of Africa´s largest crocodiles, enormous groups of hippos and amazing birds like the African skimmer. The plains of the Queen Elizabeth Nationalpark are dominated by large herds of African buffalo, elephants and Uganda Kob, an elegant, chestnut colored antelope. The most charming dwellers of Uganda’s savannahs are banded mongooses. They are highly social animals and fierce fighters. Mount Elgon National Park in Uganda’s northeast, is a hot, dry savannah extending across the base of a collapsed crater. On the wooded eastern flank of the ancient volcano, deep caves lead into the mountain. One of them, the Kitum cave, serves as a salt depot for a menagerie of wild animals, including savannah elephants that wander into the cave at night to break the salt off the cave wall with their tusks. The chimps at Ngogo in the center of Kibale National Park are the largest known chimpanzee community. Researchers with the Ngogo Chimpanzee project have studied the community since 1995; observing the births and the deaths; the immigrations and emigrations, of the group. It has provided crucial information for the preservation of this extraordinary community.